What are the goals of the Little Sprouts program? Each Little Sprouts class is designed to connect your child to plants and nature. Our projects offer an opportunity to build creativity, communication, and construction skills. The instructors also hope to foster a safe and comfortable environment that will help each child feel more comfortable in new social settings. Please dress according to the weather, we will walk in the Garden during every class (except in the case of extremely bad weather). 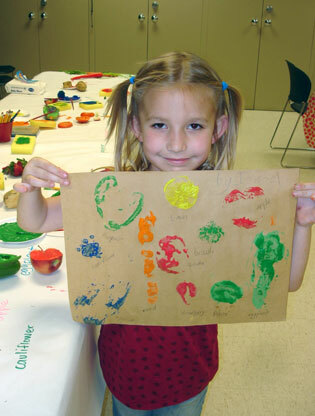 Paint smocks will be provided for messy projects, but please remember that we will be working with paint, glue, and other fun materials. Bring a cup for snack time. Yes. While we encourage our Little Sprouts to walk, if you are more comfortable having a stroller for our walks, you are welcome to bring it to class. Can I bring a younger sibling? No. Little Sprouts is a great time to have one-on-one time with your toddler, so please find alternative care for siblings. Please discuss concerns or special situations with the instructor. If the weather conditions are unsafe, we will modify our class plan and stay inside. Please note: We will still go outside in the case of light rain or snow and on hot or cold days, so please dress according to the weather. We took Little Sprouts last year, will this session be different? Yes. The Little Sprouts curriculum is on a two-year rotation, so a class offered in Fall 2012 will not be repeated until Fall 2014. Is my child ready for Little Sprouts? All children adapt to social settings at the own pace. During their first experience in a classroom style setting toddlers may experience some anxiety, usually this goes away quickly. Please address specific concerns with the instructor. Please list food allergies on the registration form following the child’s birthdate or email classes@mobot.org with your child’s name and an allergy list. What are the goals of the Garden Buds program? Each Garden Buds class is designed to connect your child to plants and nature. Our projects offer an opportunity to build creativity, communication, and construction skills. Circle discussions allow children an opportunity to express their ideas and investigate science concepts. The instructors also hope to foster a safe and comfortable environment that will help each child feel more comfortable in new social settings. No. 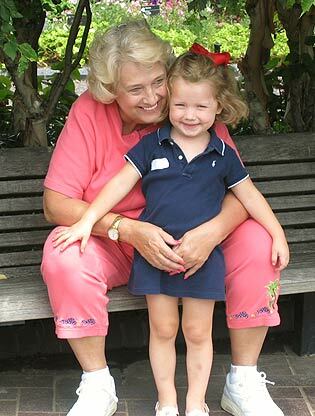 Garden Buds is a great time to have one-on-one time with your preschooler, so please find alternative care for siblings. Please discuss concerns or special situations with the instructor.